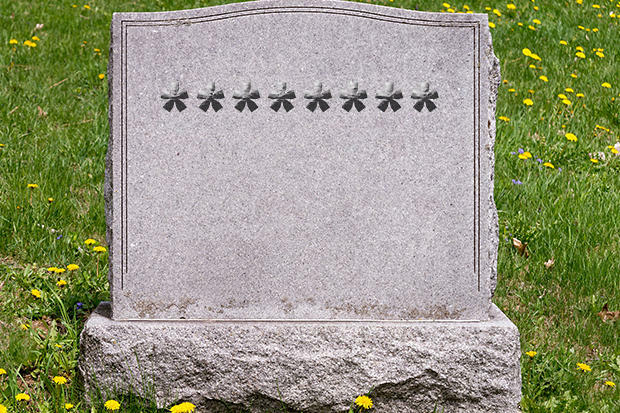 The FIDO (formerly Fast Identity Online) Alliance is out to kill the password. It wouldn’t seem to be a tough sales job. There is little debate among security experts that passwords are a lousy, obsolete form of authentication. The evidence is overwhelming. Most people in spite of exhortations to use long, complicated passwords, to change them at least monthly and to avoid using the same one for multiple sites, don’t. The latest Verizon Data Breach Incident Report (DBIR) found that 63 percent of all data breaches involved the use of stolen, weak or default passwords. And even if passwords are complex, they keep getting stolen. Just in recent months, there have been a string of reports of catastrophic password breaches – 33 million from Twitter, 165 million from LinkedIn, 65 million from Tumbler, 360 million from MySpace, 127 million from Badoo and 171 million from VK.com. Nick Bilogorskly, senior director of threat operations at Cyphort, noted in a recent blog post that there are now more than a billion accounts with credentials sold online. He compared them to hundreds of millions of keys capable of unlocking bank safe-deposit boxes, littering the ground. And, of course, with automation, it is possible to try keys in millions of “locks” in seconds. Things are even worse in the health care industry, according to a recent study by researchers at Dartmouth College, the University of Pennsylvania and USC, which found that medical staff efforts to circumvent passwords was "endemic – to avoid any delay in using a device or getting access to supplies, they routinely wrote passwords on sticky notes. The solution to such a porous “security” standard is to get rid of it, according to FIDO. But the Alliance, which describes itself as a “cross-industry consortia,” has to do more than convince experts or even web content providers. It has to convince users – the ones who are familiar and comfortable with passwords and who can display irrational amounts of resistance to change. There is no such thing as perfection. It is always going to be an arms race. “Websites that are trying to get eyeballs can’t really force their users to do anything,” said Gary McGraw, CTO of Cigital. “Twitter has two-factor authentication (2FA) now, but you don’t have to use it. You just should. The most you can do is ask nicely – otherwise it’s an economic conflict of interest. Vishal Gupta, CEO of Seclore, said while he believes the masses will adopt a different form of authentication if it is faster and easier, still thinks it can’t be forced, and will be “a long journey." “It’s very similar to chip-and-pin cards vs. magnetic strip cards, and a lot of enterprises will have to come together to make this happen,” he said. But he said FIDO, which now has nearly 250 member organizations, isn’t trying to force anything. The group’s goal is to make it irresistible – “to deliver a solution they (providers) will be eager to implement because it is in their self-interest to do so,” he said. An attacker would physically need the user’s device in hand even to attempt an attack. This doesn’t scale, and is therefore not viable for financially-motivated attackers. UAF (User Authentication Standard), simply requires the user to make a transaction request and then show a biometric, like a fingerprint. U2F (Universal Second Factor) requires a login and password on the local device, and the user then inserts a USB dongle and presses a button on it to complete the transaction. Not to mention that, if effective, it eliminates the threat from those in other countries – even those in the next town. Of course, some experts note that there is an increasing risk of attackers figuring out ways to clone biometrics like fingerprints, voice or iris scans. Gupta agreed that this is likely to make attacks much more expensive, and will therefore improve security. “As long as new forms of authentication can make sure that the cost of performing a breach is higher than the value gained from the breach, we are safe,” he said.